The Base Place design and manufacture a comprehensive range of timber components and products, wholesaling direct to retail trophy suppliers and outlets. 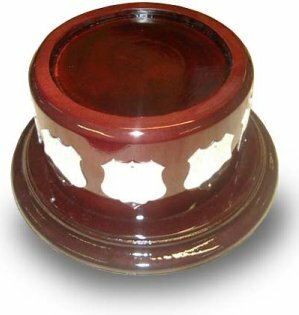 On this site you will find a small selection of trophy bases, plaques, awards, perpetual trophies, shields and more, however we don't mind testing the creative juices with custom made items. Servicing all areas of Australia and abroad, we manufacture in short or long runs so you can order the quantity you actually need. Even though the majority of manufacturing is by hand and locally produced, we are still able to keep our prices at very competitive rates with 14 day accounts, and by using Craftwood and Timber Veneer product as the prime materials. All our displayed prices are based on these materials and at wholesale rates. Further discounts may apply on application for volume orders. Natural timber can of course be obtained however items would need to be priced out separately at the time. Order online from the product range available or... if the item you're looking for is not here, either use the 'Contact Us' page or complete the Custom Design Form found in 'Custom Orders' and shoot that off to us. How often do we check our emails? Every Business Day - so we can assure you of a prompt reply to your enquiry.